Mark your calendars and buy your plane tickets to Ibiza this summer because Swedish House Mafia will be back in town. 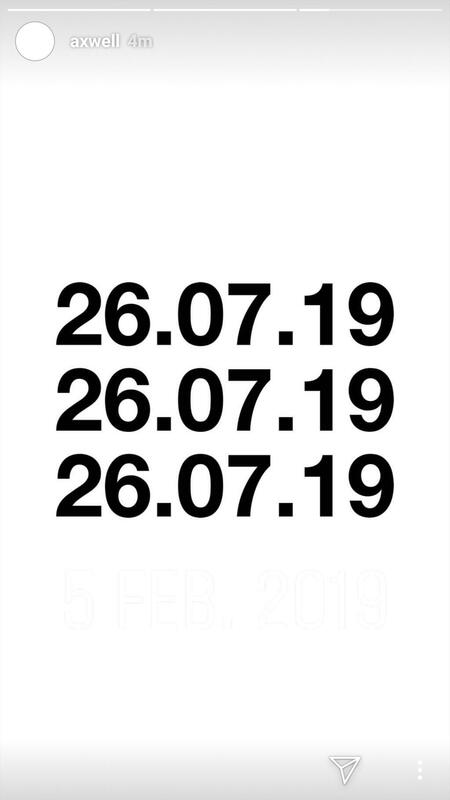 The trio confirmed their return via Instagram today with the date of July 26th. After a long period of silence, it’s relieving to see more tour locations being confirmed for the new year. Last week, rumors of an Ibiza return started when Alexander Wessely, a SHM team member, posted a picture on his Instagram story showing a flight schedule to Ibiza on his laptop. Also, instead of a commercial flight logo, the SHM dots were displayed. Ibiza has been an iconic location in the electronic music scene, a stop SHM couldn’t leave out. As of now, a location on the island has not been confirmed. Where will the next confirmed location be? Earlier this week, SHM themed billboards surfaced in Split, Croatia. This would mean an obvious return to Ultra Europe which takes place in July. Also, we’re hoping the trio will confirm a return to Tomorrowland this year as there are Sunday openings up for grabs. Of course, those of us in the United States are patiently waiting for local tour dates as well. For now, get your trip planned for Ibiza as plane tickets and hotel rooms are sure to fill up fast!